I’ll be honest, now that we have the kiddo in our lives, my weekend outfits can’t require too much thought process or we’ll never make it out the door. But I have to say, with the right staples, it is possible to throw something together in a matter of minutes and not look like a total hobo. 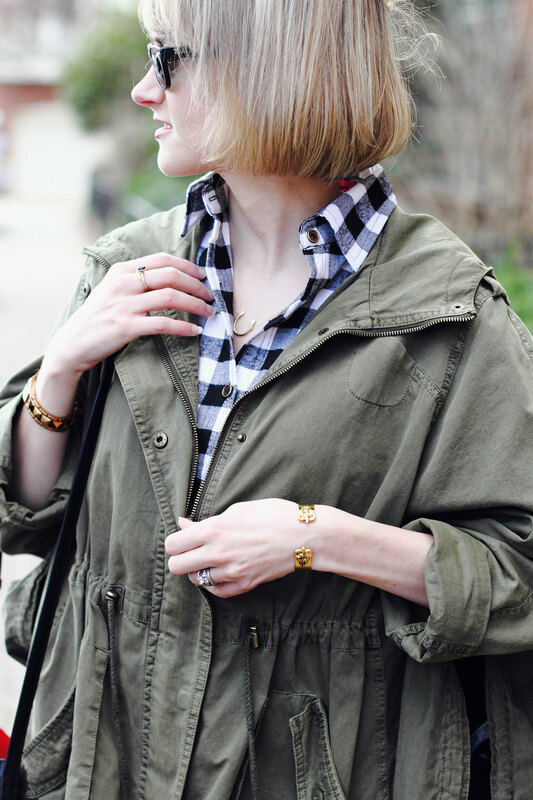 This is one of my favorite combos of late – a plaid button-down, military jacket, leather leggings, and some comfortable flats. What’s your go-to, no-thought-process-required look? 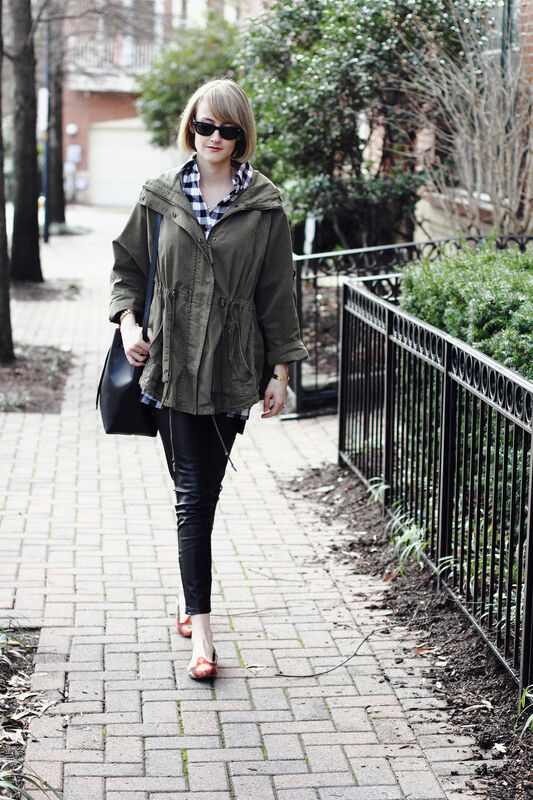 love those leather leggings and such fun shoes that you paired with them! Ooh I love the shape of that coat! And your flats are so fun as well! You could never look like a hobo. 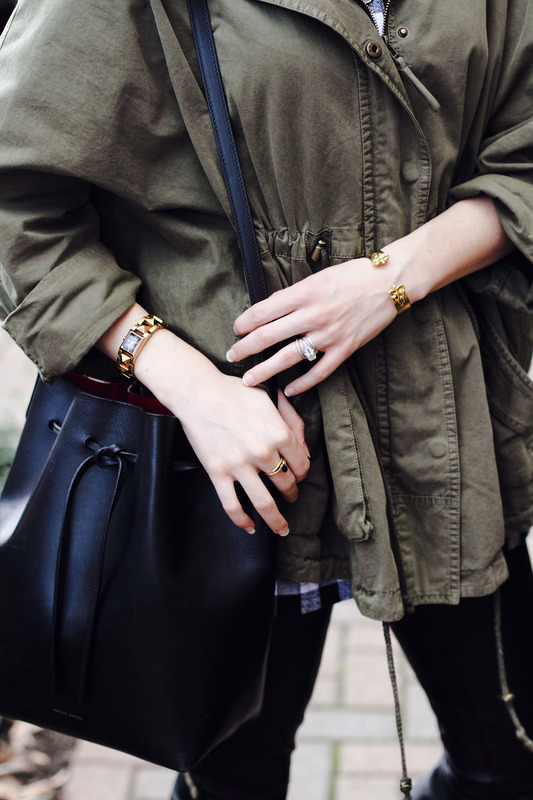 Always so chic and this is no exception! I just ordered a jacket like this, and I am excited! A high waisted skirt with tights and a boat neat top is my go-to, but if it's colder I'll throw on some leggings, a button down top, and a jacket. I really adore that gold cuff of yours–you've got the best accessories. Miles and miles away from hobo! 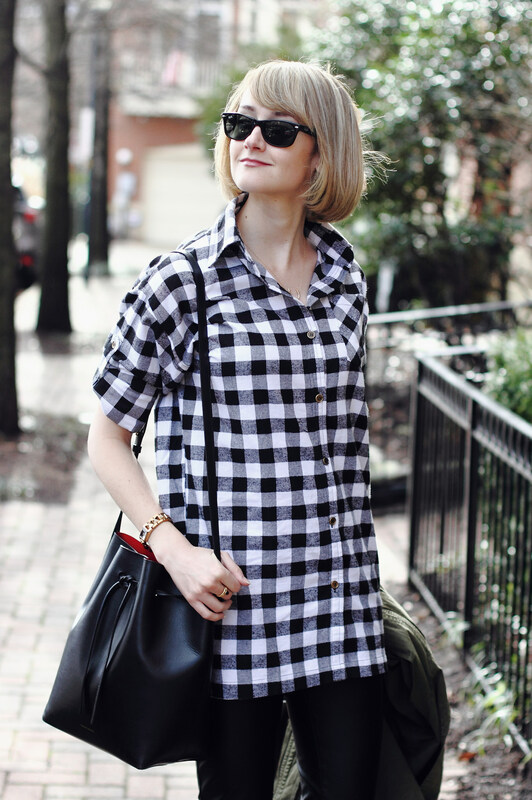 Love the plaid and fun flats. I swear, even my simple outfit seem to require too much thought these days. Your flats are amazing and I'm a sucker for black and white buffalo check. Amazing mama!